Driving laws are some of the most commonly broken rules and regulations within our society. 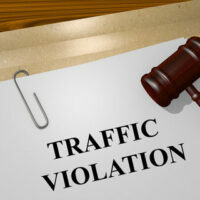 They often incur significant penalties, such as loss of a driver’s license, large fines, and even jail or prison time. However, just because you were given a ticket or charged with a criminal violation does not mean that those charges will stick and you will be convicted. By working with an experienced West Palm Beach attorney, you may be able to have these charges dropped or be able to beat them in court. There are many different ways to approach a particular violation charge. For example, the Florida Supreme Court recently ruled in the case State of Florida vs. Daryl Miller that drivers who do not have a license will not face increased penalties if they are a habitual traffic offender. Most drivers do maintain a valid license and should be concerned if they are convicted of multiple traffic infractions or offenses that add up to being a habitual traffic offender. Even if you are facing your first traffic charge, it is crucial you seek legal counsel to fight on your behalf to get the charges dropped. 15 or more moving traffic offenses within a five year period. Florida revokes the driver’s license of a habitual traffic offender for five years. After one year a person may petition to have a license strictly for the purpose of driving to and from work. There is a lot on the line for individuals facing DUIs, driving without a valid license, causing serious bodily harm, multiple speeding violations, or habitual offender charges. You may stand to lose your ability to drive in the future, thousands of dollars, and even your freedom. The West Palm Beach attorneys of the Skier Law Firm have helped countless clients defend against unfair driving violations as well as misdemeanor and felony charges. Do not hesitate to call today to set up a consultation at once.